Feel Safe This BBQ Season - All Season! 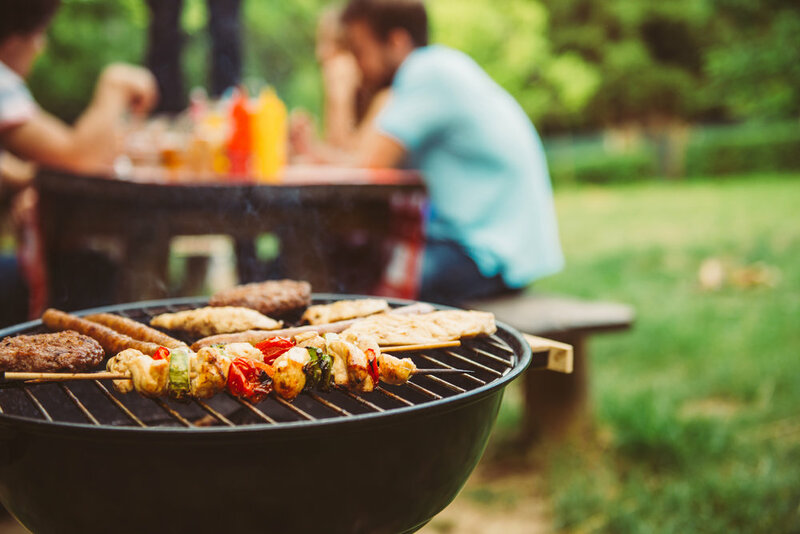 With summer now officially in full swing, we all know that one of the more favorable things to do is fire up the grill! Whether your hosting or going out, enjoying the wonderful summer weather with family and friends is a fun and exciting time. Here at Slomin’s, we want you to feel safe and secure whether you're outside grilling, or sitting in someone else’s yard enjoying the feast! Protect and view your home with advanced features like security cameras, central station monitoring, and the ability to see your home from your computer, phone, or tablet. The Slomin's Shield system makes it easier to control hundreds of various devices around the home by way of the control panel or remotely through the Slomin's App. 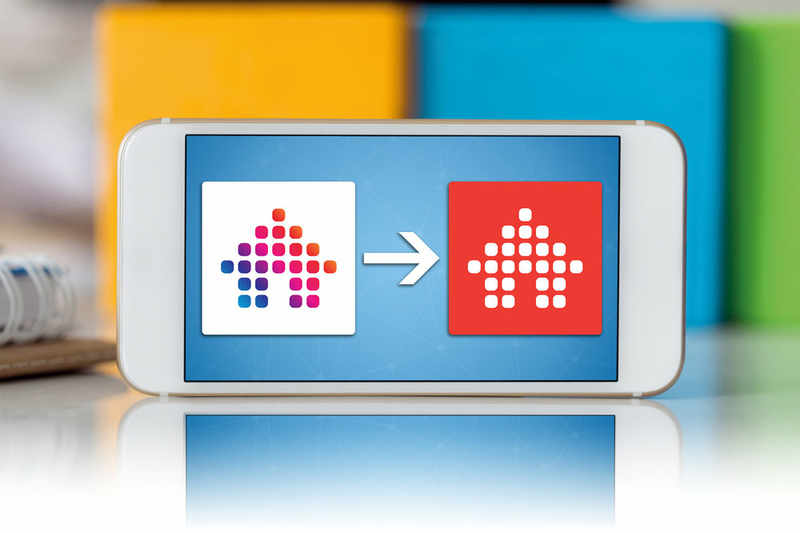 View and control your system from the palm of your hand with The Slomin’s Apple and Android apps. Or simply go online to access and control your system from your PC or Mac desktop computer. The Slomin’s Shield is one of the most advanced systems in the industry, providing convenient and reliable protection for your home and loved ones. The panel connects you to our central monitoring station and controls the security-related features of the system. With its user-friendly interface, you'll keep your home and loved ones protected and safe. Rest easier this summer with Slomin’s on your side! Find out how you can protect your home with The Slomin’s Shield by calling 1-800-ALARM-ME or by visiting www.slomins.com! 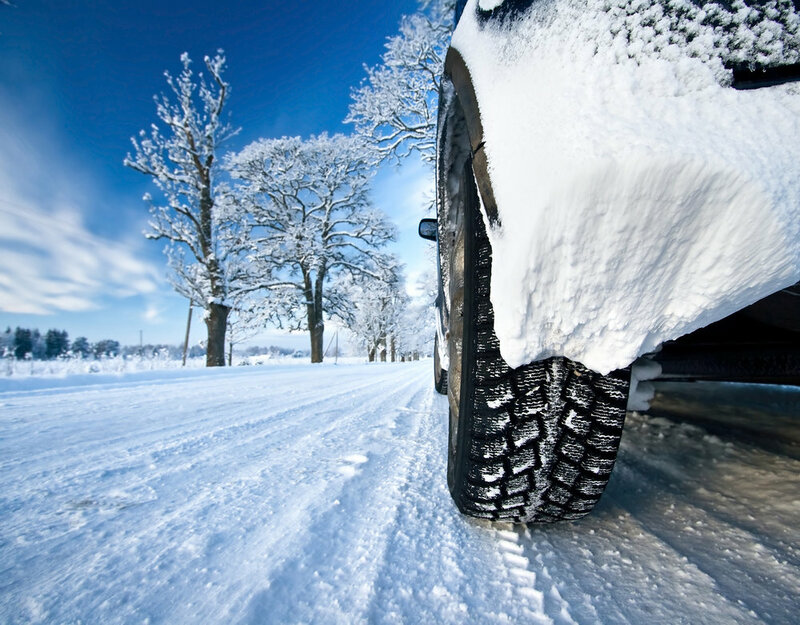 Before the season make sure your vehicle is ready for the weather to come. Either bring your car to get serviced or have a mechanic do a once over on it. Due to the cold weather your tires loose 1 psi for every 10 degrees (Fahrenheit) the temperature drops. What is black ice/glare ice? It’s a thin coating of ice (from freezing mist) on a road or sidewalk; nearly invisible but very hazardous. What to look for: Shaded areas, bridges, overpasses, and roads less traveled – they are the most at-risk areas for black/glare ice. DO NOT hit your brakes or make any harsh turns if you find yourself on ice. Keep your momentum but gradually take your foot off the accelerator and find a safe location. The shoulder may seem like a safe spot, but take into consideration other drivers and their possible reactions. Maybe aim a little further down the road/highway if you can without endangering others. Be prepared. Have a kit packed with winter breakdown essentials. Blankets, ice scraper, flashlight (and batteries), shovel, kitty litter, flares, high energy snacks, and a towel. Better to not need it and have it; than need it and not have it. Know your vehicle. After the first snow of the season, head to an empty parking lot and test your car. Go slow, speed up, break quickly - see how everything reacts and how the timing is different. You never want to be learning these things for the first time in a dangerous situation. Antifreeze is your best friend. This keeps your system safe from rust, freezing, and overheating. Regardless of how cold it is outside the engine still needs the internal cooling system to run smoothly. Stop tailgating. In snowy conditions, you should try to drive 8-10 seconds behind the person in front of you. You shouldn’t be concerned with how fast you get somewhere; you should just be concerned with getting there. Keeping this distance increases the amount time you have to react should something go wrong. Drive slow! Leave early enough where you have the time to go slower than usual. If possible, don’t go out if you don’t need to; watch the weather and go to the store before it rains or snows. • Don't wait until the last minute! Even if there is only a 30% chance, better safe than sorry every time. • If you take a daily medication, make sure you have enough for at least 10 days after the storm. The roadways may be inaccessible for a while. • Keep all your important documents in a fire/waterproof safe. If you don't have one, use ziplock bags and store them somewhere secure. • Always be sure to have a stocked first aid kit and know how to get to it in the dark. • Stock up on water, nonperishable foods, candles, flashlights, and batteries. • Try to get your laundry done; nothing like having dirty clothes that you can't clean for a week. • Fill your car's gas tank and if you have a grill be sure to have extra propane. • Create and go over a hurricane evacuation plan with your family so everyone is on the same page if/when the times comes. • Take the proper precautions for you and your family's safety! Whether it's boarding up the windows with hurricane shutters/plywood, or a mandatory evacuation, listen to your local news stations and use your best judgment. Our thoughts and prayers are with all of those in Hurricane Matthew's path. 14 Ways to keep your home cool this summer! - These are easy-to-use and essential for year-round energy savings. Tip: gradually lower the air temperature to keep your unit from working overtime when it doesn't need to; this will also prevent your fan from freezing. - Try not to place lamps, TVs, or other heat-producing appliances near your thermostat. This will make the thermostat run longer than it actually needs to. - Your machine will have an easier time cooling if the air around it is cool as well. This also helps your machine to run more efficiently. Be sure to keep plants and shrubs about 2 to 4 feet away to ensure proper air flow to/from the unit. - Seal all air conditioning ducts and insulate ducts that run through unheated basements, crawl spaces, and attics. This keeps the cool air exactly where it’s supposed to be, inside! - Dirty filters kill you’re A/Cs efficiency. Replace or clean (if you’ve got the washable type) them every month. Check out your filter’s minimum efficiency reporting value – the higher the number, the better the filtration; and the more energy it needs to pull air through. - Try to avoid using the oven, stove, dishwasher, or clothes dryer during the heat of the day. The heat produced by these appliances can dramatically increase the temperature in an area of your house. - Close vents in rooms that are not being used. Install vent deflectors if the air is not cooling the areas you’d like. Also, vacuum the vents as needed to keep the air flowing efficiently. - Many people forget about their furnace during the summer. If you’ve got central air and a ducted home, your furnace fan plays an essential part in blowing cool air through your house. Without proper maintenance, the cold air can freeze your furnace fan and increase your monthly payments. - We all love the natural light during the summer, but keeping your blinds open during hours of direct sunlight can have a negative impact on your A/C bill. Closing the blinds and curtains will keep your home from becoming a mini-greenhouse and can save you up to 7% on your bill. - It’s nice to freshen up a room with some new sheets, but it’s also a great way to keep cool. Flannels and fleece blankets are good for insulation in the winter, but are not ideal when summer time comes around. Cotton, on the other hand, is light and breathable – perfect for the warmer months. - If the ducts aren’t matching up correctly, or if one has a leak, you could end up cooling the inside of your walls instead of the inside of your rooms. We recommend having a professional inspect your duct work every 3-5 years. - How did our ancestors survive without air conditioning?! Regulating your internal temperature is just as effective as keeping the air on. Sip on some refreshing icy drinks and select cooler clothing options. - If you have an older central air conditioner, consider replacing the outdoor compressor with a modern, high-efficiency unit. Just make sure that it is properly matched to the indoor unit. Now that autumn’s crisp days and chilly nights have begun in earnest, homeowners all over the country are turning up their thermostats at night and lighting fires in their wood stoves and fireplaces. Soon, winter days and nights will require bundling up before going outdoors and sipping hot beverages once you come in from the cold. It may even cross your mind that your canine companion is lucky to have a built-in fur coat to keep it warm when winter temperatures plunge. However, your furry friend may suffer from the cold weather more than you think, particularly if it is a senior dog, a breed that is sensitive to the cold, or a mother with pups that are still nursing. However, all dogs can do with a bit of protection from the elements, and proper pet house heating will help keep yours happy and healthy during the course of the winter. Your dog house should be large enough so that the dog can easily sit, stand, turn around, and lie down, but not so big that it can’t hold your dog’s body heat inside. It should be off the ground with a sturdy roof that doesn’t leak and a well-insulated floor. Insulating materials include straw, wood shavings, or a small mattress lined in plastic for easy cleanup. The structure should be solidly built with no exterior cracks or holes that cold air could seep through and should also be built with pet safety in mind, with no sharp edges, splinters, or loose nails. However, your dog may require more than what’s listed above if you live in a region where temperatures dip below freezing on a regular basis. Heating pads. These reinforced rubber pads are the easiest way to add an extra layer of heat to your furry friend’s abode, but make sure you get the type that’s made for use in kennels. Small furnaces. These are simply heat-producing light bulbs encased in metal. Electric heaters. These units fit easily into small spaces, but be sure that the cord is situated so that it doesn’t pose a pet safety risk for dogs that like to chew. The heating element you select will depend on several factors, including the size of the dog house, the individual needs of your pet, and climate conditions specific to your location.